It’s layering season - and that doesn’t just mean clothes. 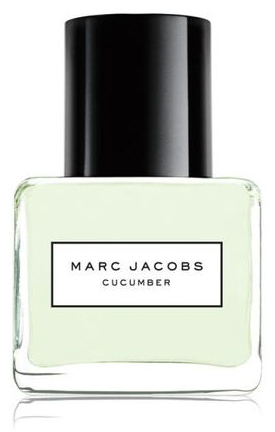 Marc Jacobs perfumes aren’t new on the block, but damn are they fresh. Available in Cucumber, Cotton, Pear, and Rain, these scents are uplifting, crisp and wonderful when worn alone and when layered together. What’s our fave combo? Pear x Cotton, which smells like clean laundry and fresh, picked fruit procreated. Oh, baby. Refreshing, light and soothing this scent lifts our spirits and makes us feel like we're walking on air. Or water if that's your thing. Our favourite of the Marc Jacobs collection. It's light, a touch fruity, a touch floral, and fresh. Best of all it's memorable and unique. Those who love warmer scents will love this one. If you love the scent of fresh, clean laundry then you'll love the scent of MJ's Cotton. It's warm and inviting and layers beautifully with other scents. This uplifiting scent is unique and sparkling, like a cross between fresh-cut grass with a splash of clementine and strawberry. Byredo's new Kabuki Brush. Is it worth it?